The first workshop this week to brainstorm ideas about how to sell Campbelltown to outsiders was held at Ingleburn. The most fascinating aspect of it wasn’t the participants having to find a solution to the conundrum: if Campbelltown was an animal what do you think it would be. No, it was the fact that young and old residents participating in the workshop shared the same views of our town. Open spaces, hard working, friendly people, a place full of potential – they were some of the perceptions expressed during the three hour session in the Greg Percival community centre. They were also as one when asked their thoughts about Campbelltown Council: not too many compliments I’m afraid. Council needs to get and out and about and engage with the community was the main message. 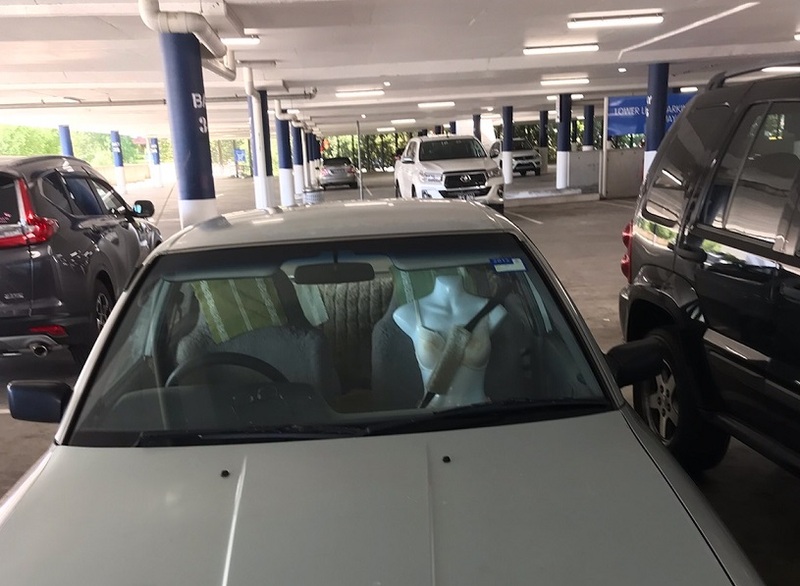 This car with a strange looking “passenger’’ was spotted in the Campbelltown Mall carpark last week by one of our spies, who sent the photo in with the message: You’ve got to love Campbelltown, and who are we to argue. It’s all happening for one of our most active entrepreneurs, Sonya Moulang, who runs the popular café Bar Centrale on Queen. Last month she was appointed director and secretary of the Campbelltown business chamber, replacing Carlene Cardona-Elvy from South West Sydney Virtual Assistant. 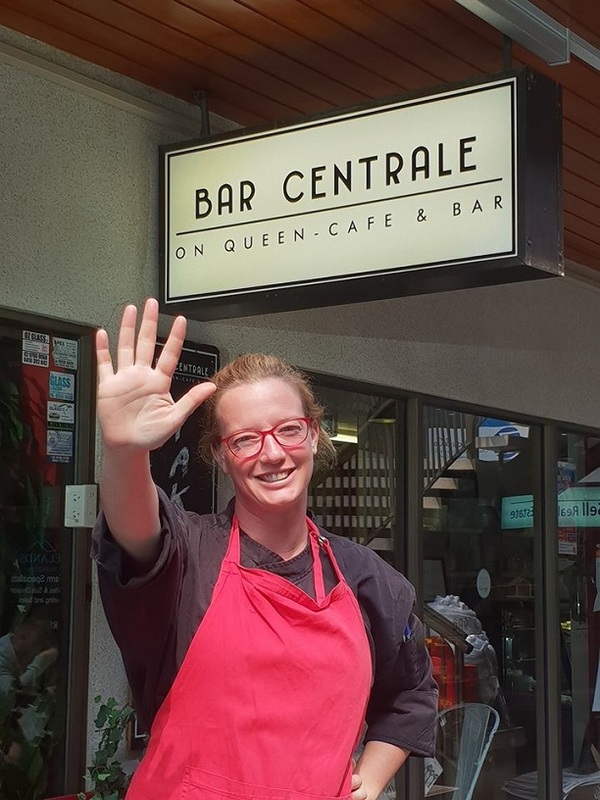 This week Ms Moulang, pictured, had another reason to celebrate: the liquor licence came through for Bar Centrale so now her customers can, if they wish, enjoy a glass of wine with their lunch or dinner. Hopefully it’s also the start of a bit of a revival for our much maligned main street. Another local organisation making changes recently was Campbelltown SES, where its commander, David West, stood down from his role. He has been temporarily replaced by Ian Shepherd, who will act in this role until SES complete the recruitment process. Ian was previously the commander prior to David accepting the role and has been an active member since 1985. Federal Member for Werriwa Anne Stanley is urging locals to be vigilant of scammers impersonating NBN officers. Ms Stanley said her office had received complaints from residents getting automated calls threatening to shut off their internet service and disconnect their landline if they did not provide their personal information. Worse still, the scammers have been targeting people in retirement villages and other vulnerable residents. 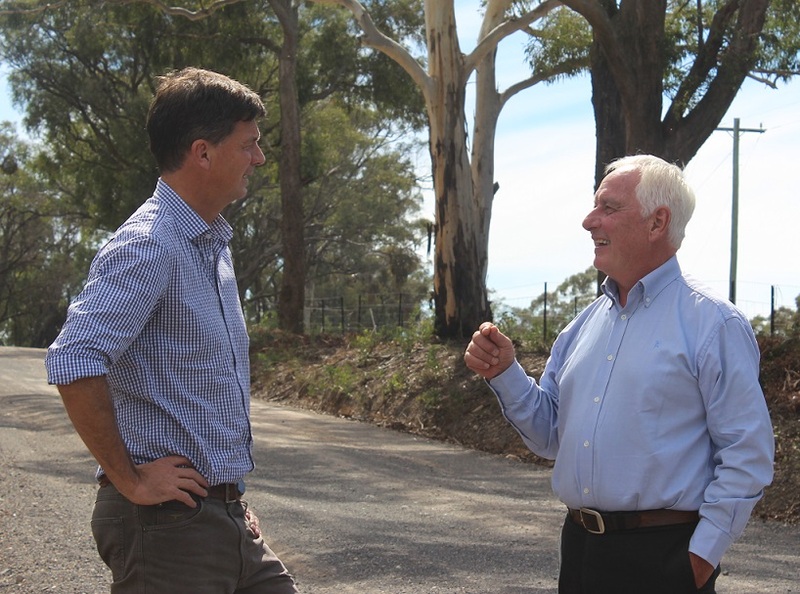 Here’s one for former and current Fairfax Community Newspapers staff: former company chief John Stafford has popped up in a media release and photo alongside Federal Member for Hume Angus Taylor. Many Macarthur businesspeople would have met Mr Stafford during his long tenure, and who is now Upper Lachlan Shire mayor. He is pictured with Mr Taylor at an announcement of $2.5 million in Federal funding to upgrade Wombeyan Caves Road. The loss of 220 local jobs at Kimberly-Clark this week has rocked South West Sydney, but according to a recent Campbelltown Council report 278 new businesses were launched between January and March. The top three industries were transport and warehousing (95), construction (56), and professional/scientific/technical services (25). One councillor said that while was glad to see the figures, he wished that they would include the number of jobs all these new businesses have actually created in the local area. It’s not just tiny blocks we’re building homes on; our residential streets have also been getting narrower. So much so one local council will investigate ways to do something about it. Liverpool Council has backed a motion from Labor councillor Councillor Nathan Hagarty to investigate practical measures and propose a pilot area to increase street widths in the town’s suburbs. Potential options could include the removal or reduction of traffic islands, the construction of parking verges and neighbourhood parking bays.